New innovative protein formula Complete Protein contains all the available sources of animal protein of the highest quality under the leading brand of supplements in the world! Sensational flavor and solubility! 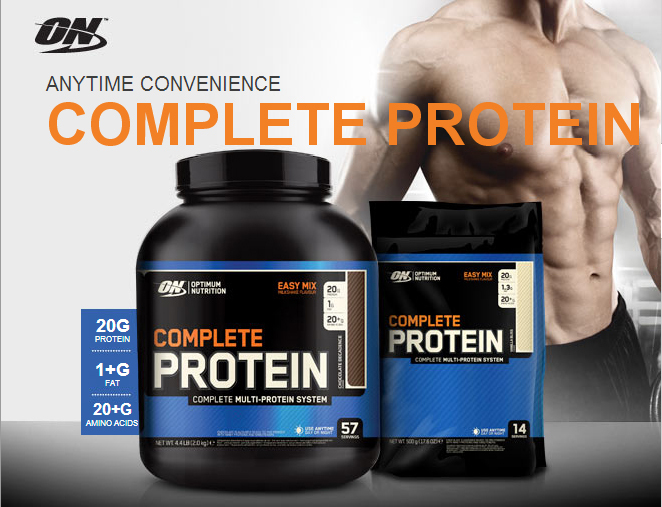 New innovative protein formula ON Complete Protein contains all the available sources of animal protein of the highest quality under the leading brand of supplements in the world - Optimum Nutrition. 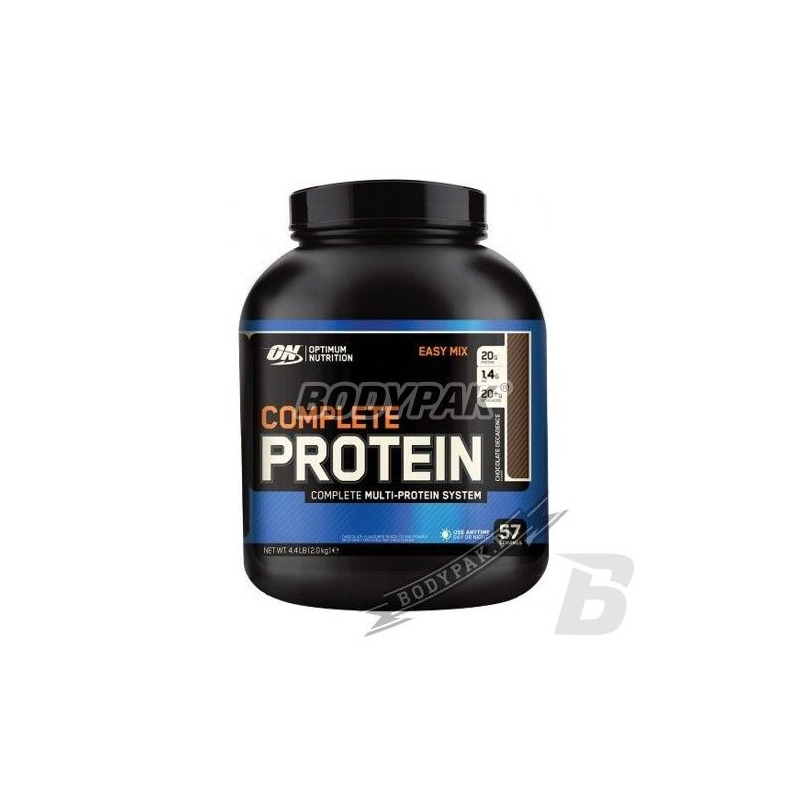 ON Complete Protein has a creamy and taste great protein, suitable perfect at any time. This formula will keep your muscle development and regeneration at the highest level. With the right amount of carbohydrates (about 6gr servings) for even better and faster absorption of protein and almost zero fat Complete Protein is ideal for muscle building all day. Ingredients: Protein Blend ( milk protein isolate , whey protein concentrate , hydrolyzed whey protein isolate , micellar casein, albumin Egg whey protein isolate emulsifier - lecithin ), flavors, coffee cream (glucose syrup, hydrogenated vegetable fat, milk protein, stabilizer (potassium phosphate), emulsifiers (mono- and diglycerides), lecithin dye (carotene)), thickener (carrageenan), salt, sweetener (acesulfame K, sucralose). Dobre uzupełnienie białka w ciągu dnia, bo po treningu raczej się nie nadaje. Czekolada sztos !